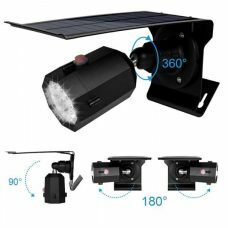 Outdoor 26 LED Solar Spotlight for Flag Pole for home or camping is a high-quality waterproof product with multiple features. 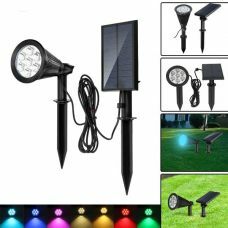 The item has 26 LED bulbs to provide bright reliable lighting for the flag without wires or other electric cords and access to the power grip. Daylight control sensor will continuously operate the light by turning it on and off depends on the lighting environment whether it is day or night. 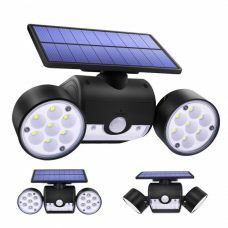 Outdoor 26 LED Solar Powered Spotlight for Flag Pole for home or camping is a high-quality waterproof product with multiple features. 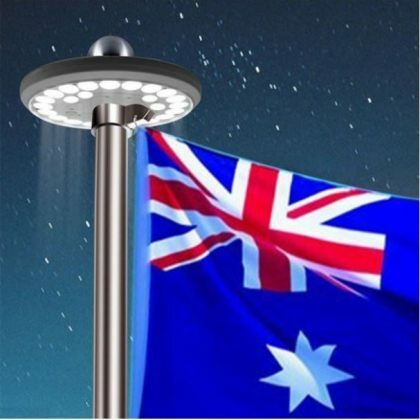 This flag light can be easily installed on the flag pole or just hang with string. It is entirely powered by solar energy and does not require any wires or power grid electric cords. The flag light will automatically turn on at night and off during the day for charging. The LED solar powered spotlight for a flag is a low-maintenance and cost-efficient Solar Product that provides outstanding performance without additional maintenance. 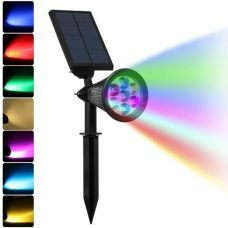 It can be ideal for the flagpoles around the home, garden, backyard or a farm and suitable for flagpoles during camping and other outdoor locations. 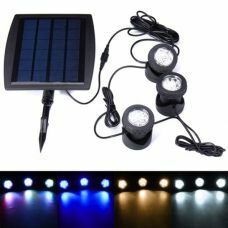 - BRIGHT: Six solar panels provide great energy for the lighting by absorbing the sunlight during the daytime. 26 brighter energy-efficient LED bulbs can provide enough illumination for the whole night. 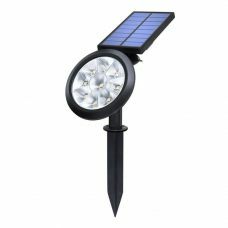 - DURABLE AND WATER-RESISTANT: High-quality materials make this solar flagpole light more durable. Water-resistant IP65 grade and solid plastic construction can withstand years of rain, snow, ice and wind. - EASY INSTALLATION: Fitting most flag poles. No tools required and no hassling electrical wire connection. It is a maintenance-free product. Simply install it on top of the flagpole through the hole 1.3cm and turn On. - LIGHT CONTROL: Automatically light up at dusk and off at the dawn. But please ensure the switch to "on" position before using. - ECO-FRIENDLY & HIGH CONVERSION RATE. 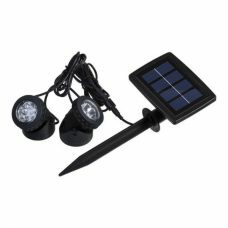 The built-in three large capacities rechargeable can support about 8-10 hours working time at night when fully charged. 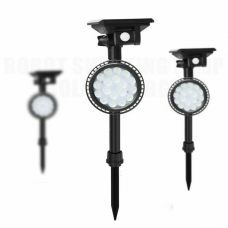 The universal solar spotlight for flag pole delivers reliable long-lasting lighting and is ideal for maintaining special lighting for the flag on the flagpole around the house, garden. - Suitable for flagpoles during the camping. - Suitable for commercial premises flagpoles. 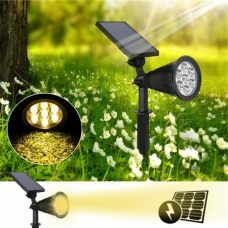 1 x Solar Spotlight for Flag. Note: Top ball, flag & pole are for display and not provided. - Please ensure the product is switched to "ON" position before using it. - Please remove the protective film from the solar panel for the first time. - The working time directly depends on the amount of sunlight absorbed during the day.